Poor sleep is associated with an increased risk of dementia, depression, mania, diabetes, hypertension, heart disease, Alzheimer’s and obesity! Sleep is essential for healthy brain function, weight loss, balanced hormones, improving memory, increased energy during the day, younger-looking skin, healthy aging, learning, and optimal performance. It’s the time when our body repairs from the mental and physical stress of the day. Sleep has been shown to help keep the body’s immune system strong, reduce belly fat, and can also help regulate moods, hormones, and lower stress. Late bedtimes, interrupted sleep and chronic sleep deprivation are at an all-time high nowadays. An estimated 60 million Americans suffer from sleep disorders or sleep deprivation. Disrupted circadian rhythms have a profound impact on sleep quality. 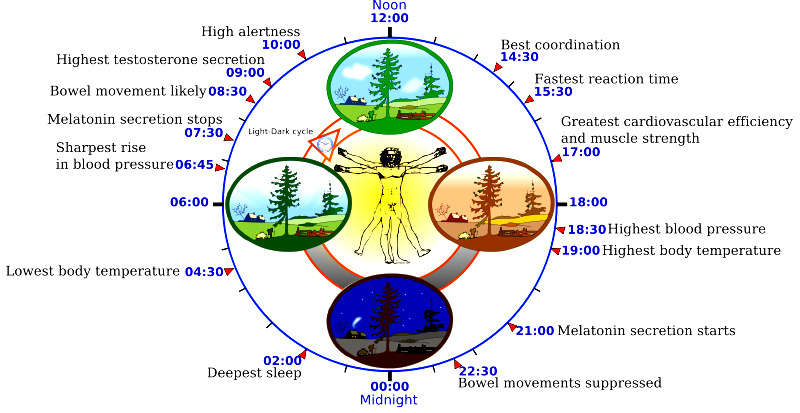 Circadian rhythms are produced by natural factors within the body and greatly affected by our environment, specifically light. When our circadian rhythm is out of sync from blue light at night, staying up late or shift work, insomnia and sleep problems are bound to occur.According to a report from MSNBC, the use of sleep medications more than doubled among adults aged 20-44 between 2000 and 2004, and use in children increased by a whopping 85%! A study published in the British Medical Journal found that people who take prescription sleeping pills regularly are nearly five times more likely to die within 2.5 years and have four times a higher rate of cognitive dysfunction compared to those who do not take the drugs. There’s a better way! Avoid toxic pharmaceutical sleep medications and OTC sleep aids. Overcome insomnia and sleep through the night with these drug-free, natural remedies to cure insomnia. Weight gain, insulin resistance and diabetes. Are you struggling to lose weight? Poor sleep increases belly fat, causes poor food choice, weight loss resistance, intensified cravings, stimulated appetite and is linked to insulin resistance and diabetes. Sleeping less than 5 hours or more than 9 hours per night increases the likelihood of weight gain. 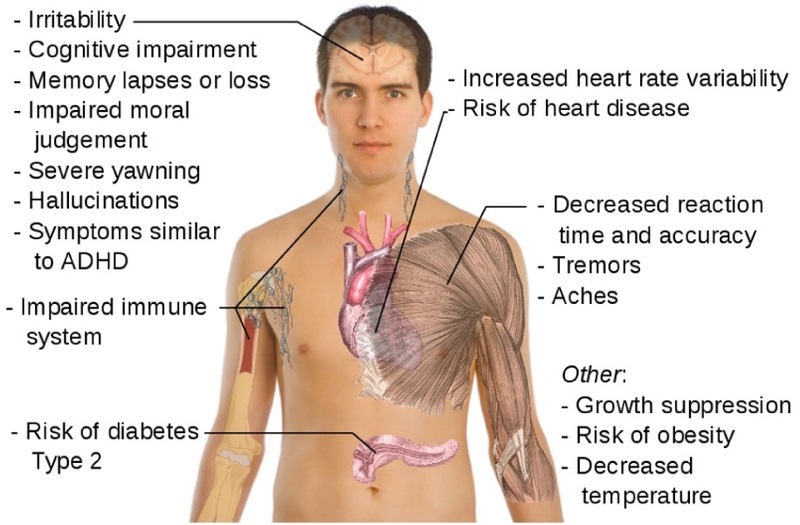 Muscle loss and poor performance. Muscle repair is active during the night when we’re asleep. Without sufficient sleep, our muscles cannot repair or grow, sarcopenia occurs, and catabolism sets in. Accelerated aging, shorter telomeres, and more wrinkles. It’s been said that a good night’s sleep is nature’s best anti-aging agent and repair mechanism. Chronic insomnia causes a decline in leptin (the hormone that signals your body and brain that you’re full, satiated and satisfied), and high levels of ghrelin (a hormone that triggers hunger causing one to never feel full and consume an excess intake of food) resulting in increased weight. Just one week of sleeping 5 hours creates a 10-15% drop in testosterone and alters more than 700 genes. Anxiety, mood disorders, decreased immunity and impaired learning are linked to poor sleep and sleep deprivation. Hypertension and heart disease. The University of Warwick did a study and found that getting less than 6 hours of sleep on a continuous basis increases your risk of dying from heart disease by 48% and 15% increased likelihood of developing a stroke. Another study in the journal Sleep reported that those who sleep less than five hours per nigh have a 500% increased risk for hypertension, and those who sleep only 5-6 hours per night have a 350% increased risk for hypertension. Memory and Brain Function. A study by the Mental Health Foundation found that people that didn’t get enough sleep were more likely to have relationship problems, four times as likely to suffer from lack of concentration, 3 times more likely to be depressed, and 2.6 times more likely to commit suicide. Detoxification. 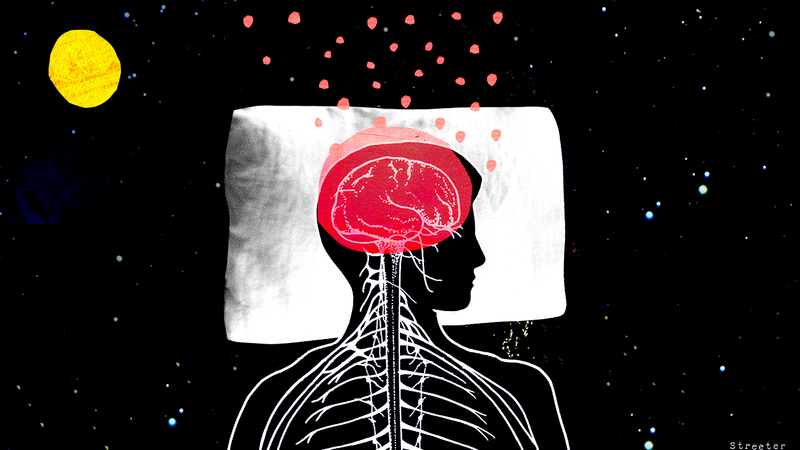 Your brain does the majority of its detoxification at night while you’re asleep. The brain has its own internal detoxing system called the glymphatic system that turns on when we are asleep and clears away toxins and waste products that could be responsible for brain diseases such as Alzheimer’s disease and other neurological disorders. The glymphatic system is nearly 10 times more active during sleep compared to when you’re awake. Without proper sleep, the brain can’t regenerate properly. One of the first signs of brain deterioration, cognitive disorders and early Alzheimer’s disease is sleep disruption. The less sleep older adults get, the faster their brains age. Weight loss, better memory, happier mood, healthy aging and healing of the mind, body and spirit occur during deep, restful sleep. Energy is restored and replenished during restful sleep. Brain waves normally shift to a lower vibrational frequency as we shift from the initial stages of sleep into the deeper stages, such as the rapid eye movement stage (REM). The physical body repairs between the hours between 10pm and 2am. Psychological repair and regeneration of your mind occurs between 2am and 6am. 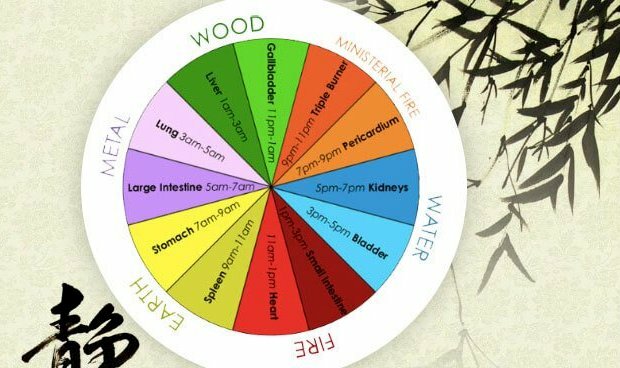 According to traditional Chinese medicine, specific organs have a two hour time period when the Qi or energy is at its peak in that meridian. The gallbladder meridian is most active between 11pm and 1am. The liver meridian is most active between 1-3am. Consistently awakening between 3-5am is strongly suggestive of adrenal insufficiency and oxidative stress. Consistently waking during these hours may be an indication that the specific organ is out of balance and needs some extra TLC. When the energy of a meridian is not flowing optimally due to a block such as unhealthy eating, toxic overload, EMF exposure or stress, an individual can experience a sign or symptom from the meridian(s) involved. Sleep is a natural restorative, an antidote to the damage done to our bodies during the day. It allows the body to replenish its immune system, restore adrenal function, detoxify the brain, eliminate free radicals, and ward off heart disease, memory loss, and mood imbalances. Poor sleep and chronic insomnia are often a symptom of a person’s diet, nutrient status, their environment, lifestyle, and an indicator of their overall health. Too much caffeine or alcohol. A Friday night alcohol binge disrupts sleep quality until the following Tuesday! If you’re unable to fall asleep, the problem is often a need to balance the central nervous system (sympathetic and parasympathetic) and correct mineral deficiencies. If you’re able to fall asleep, but unable to stay asleep rule out adrenal dysfunction, blood sugar handling problems, insulin resistance, hypoglycemia, underlying infections, and gut dysbiosis. 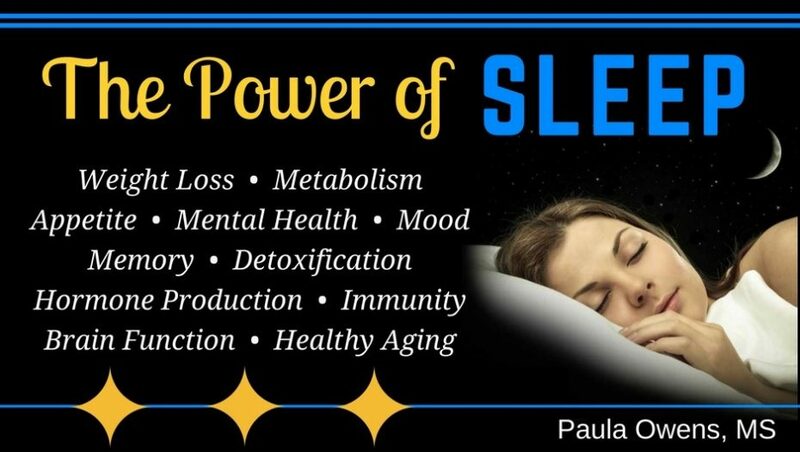 Sleep is just as important for weight loss, hormone regulation, healthy aging, brain function, strong immunity, mental health, mood and metabolism as nutrition and exercise! Fixing poor sleep starts by identifying the root cause, addressing your sleep hygiene, limiting exposure to blue light and bright screens at night, and creating an environment for good sleep. Avoid toxic pharmaceutical sleep medications and OTC sleep aids. Overcome insomnia and sleep through the night with these drug-free, natural remedies. Video – Do you have trouble FALLING asleep or trouble STAYING asleep?